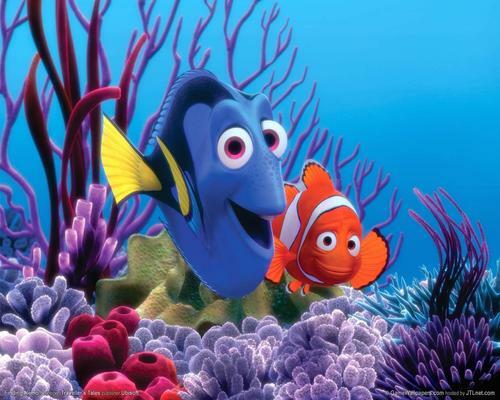 NEMO. . HD Wallpaper and background images in the Finding Nemo club. Squirt, مارلن and Dory are riding the Turtle.